Note: these hours are incorrect. 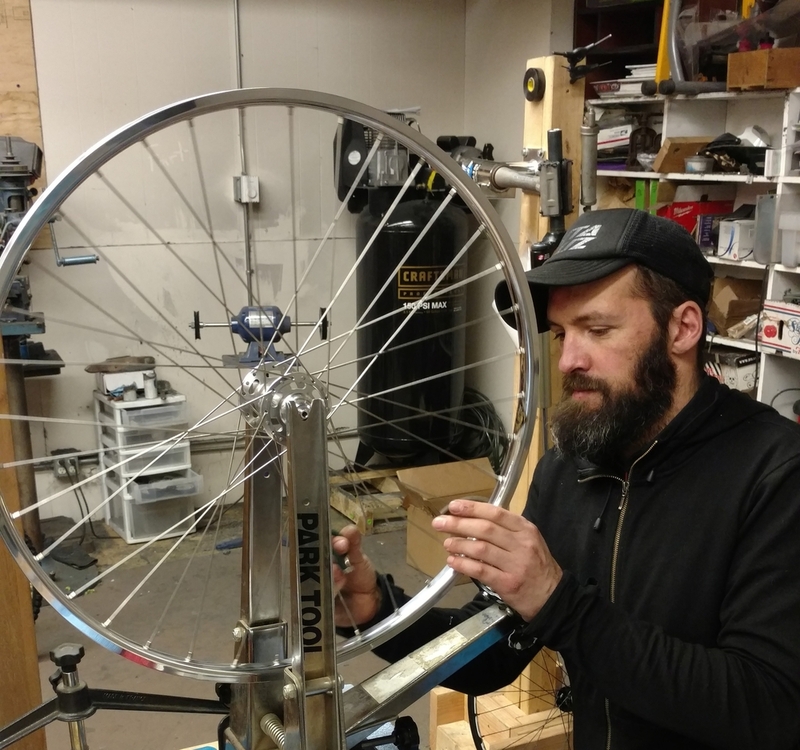 We are lucky enough to have our friend and legendary Portland wheel builder Brian open his own wheel building business out of the back of our shop! Now moved to a room off the front of our shop! 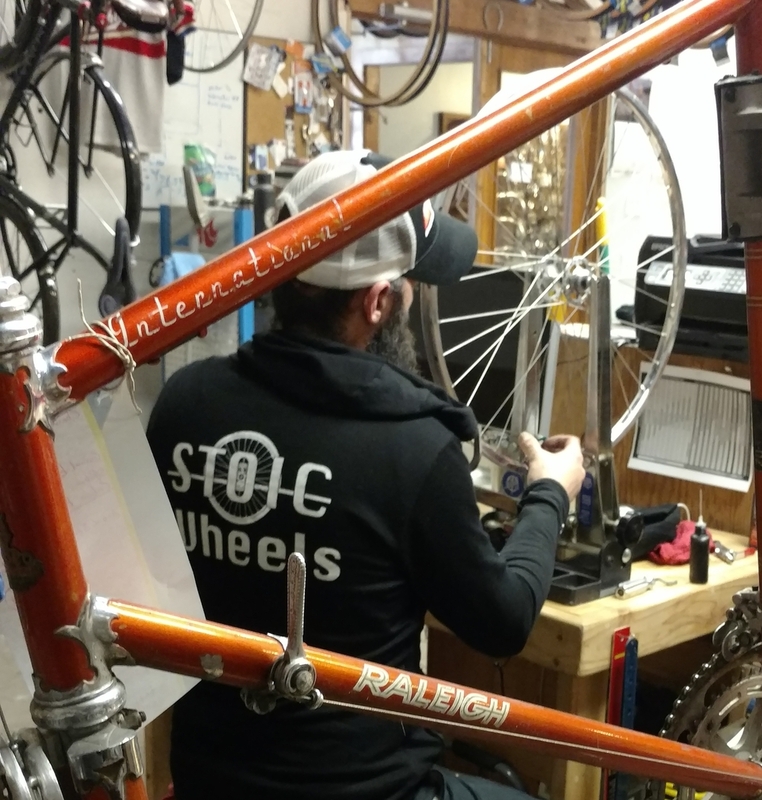 Stoic Wheels is a custom wheel building shop that specializes in all things hard. He builds us custom randonneur, touring, and commuting wheels. As well as all high end and competition down hill MTB, race, cross. Brian's a master of all things shock, modern, tubeless and hydraulic, offering overhauls, rebuilds, bleeds and whatever other services for suspension forks, dropper seat posts, all things disk brake and all the other stuff no other shops can handle. Brian of Stoic Wheels is not only one of the best wheel builders around, he's also a man of many hidden talents! 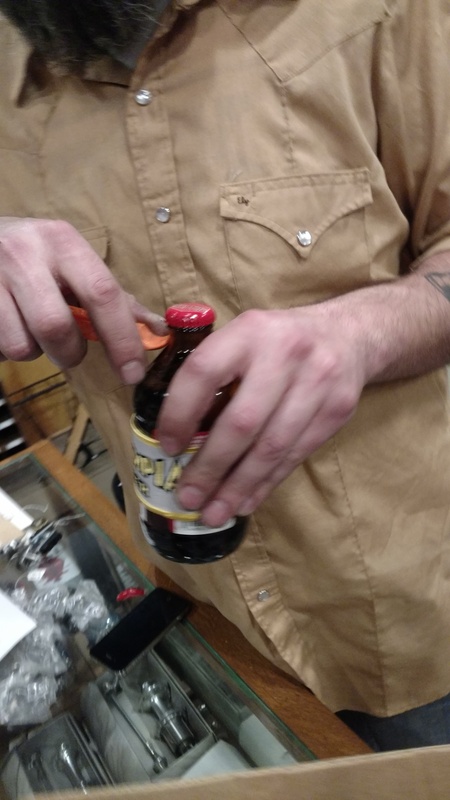 Like using bike tools to open beers. Check out these demo photos! Brian of Stoic Wheels showing us how it's done. Replacing sealed bearings on Judy's Velo Orange hub with some cool tools!